This vast swallow hole is a wonder of nature that has been classified as a Grand Site de France® since 2004. The area around the site has been completely transformed with low dry-stone walls, terraced gardens and little shady pathways. And as for the swallow hole itself, visitors can now enjoy a completely revamped seven-part visit that explains how the landscape was gradually shaped to form the way it looks today, with stalagmites that look like stacks of plates, dripping candles, draped fabrics, forests of palm trees and more… The music-and-light show at the end provides a rousing finale. Family riverside campsite near the main roads. 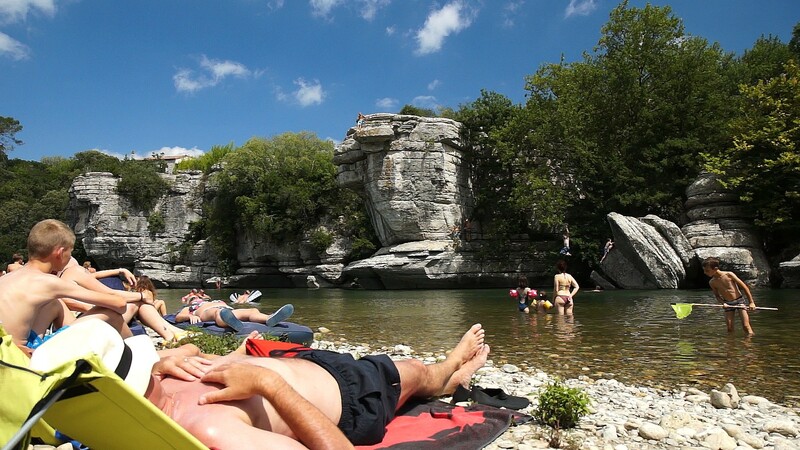 Campers can plan canoe trips down the Ardèche at the campsite. 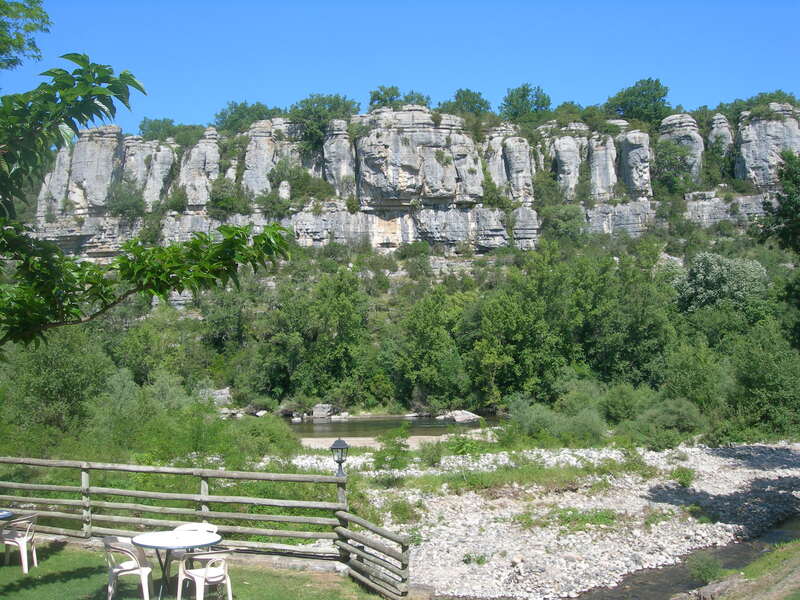 Our campsite stands in the countryside on the banks of the Ardèche River. This is a family-friendly campsite whose campers respect the peace and quiet of the setting. Canoe hire. 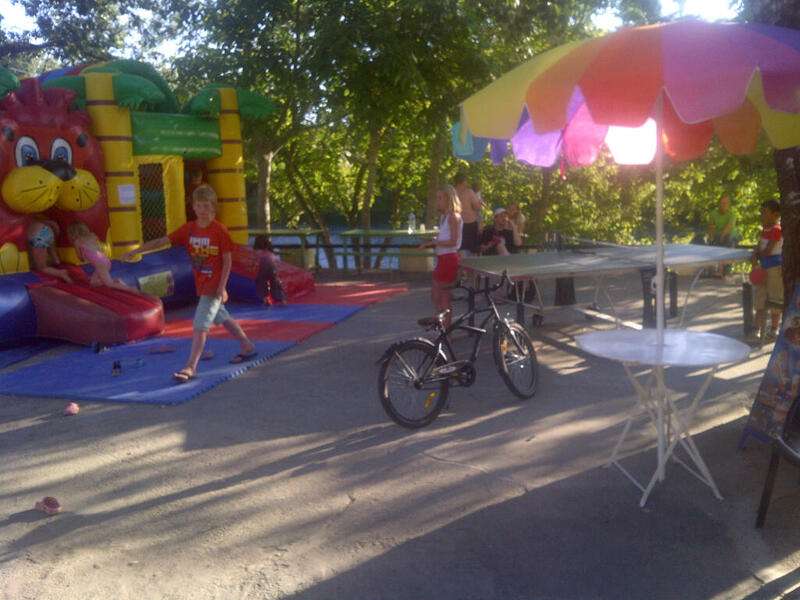 Campsite near Le Rouret tourist complex where you can go bowling, play tennis, motorbike riding or horse riding.